Lace up your sneaks Golden Hawks, and run for a good cause this weekend. 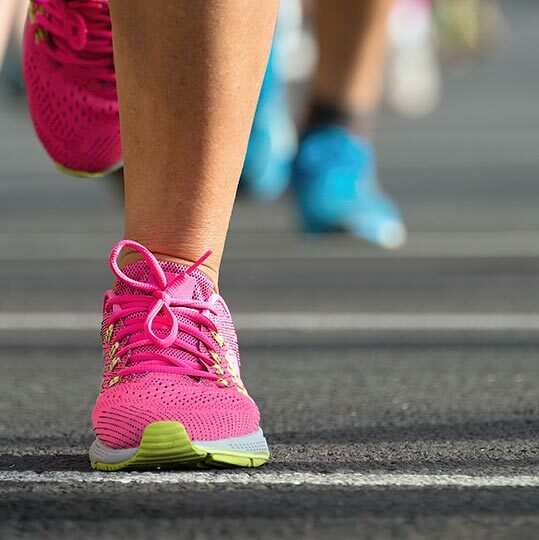 Kin Kouncil, a campus club for undergraduate kinesiology students, will host the 10th annual Laurier Loop road race on Sunday, March 19 at 10 a.m. on Laurier’s Waterloo campus. All proceeds from the race will directly support the Sun Life Financial Centre for Physically Active Communities, a collaborative university-community project announced in December. Second-year student and Kin Kouncil president Chris Cooper is proud to be part of the race experience and make a positive impact in the community. This is the group’s first year organizing the race, which features a 2.5 km loop around Laurier’s Waterloo campus. Runners can choose to run one, two or four loops or participate in one of three relay races. The race is open to the general public and welcomes runners at all levels. The council, obtaining official Wilfrid Laurier University Students’ Union club status last year, dedicated two student representatives to promote the race at Laurier and organize event logistics. Cooper hopes Kin Kouncil can continue to develop fundraising opportunities to support the centre or other charities in the community. Pam Bryden, professor in the Department of Kinesiology and Physical Education and acting dean in the Faculty of Science, applauds the group’s efforts to engage with students and the external community. In addition the Laurier Loop, the council is organizing quiet study spaces for students during exams. Cooper says they are always open to new programming ideas and all students are welcome to participate. Online registration for the Laurier Loop is still open and students receive a discounted rate when using the code GOLDEN. Volunteer opportunities are available by emailing kinkouncilmedia@gmail.com. Race day registration and kit pick-up starts at 8 a.m. in the Science Building on Laurier’s Waterloo campus. Additional details are available from the Laurier Loop website.